REGENERATION: Metrolink coming into the town centre is just one part of the massive physical regeneration planned in Oldham. TOWN centres are hugely important. They attract a great deal of public and media interest and are representative of the general health of a community in many different ways. When the community changes either in demographic, cultural or consumer terms, the High Street also changes and reflects that. As we embark on one of the most comprehensive town centre redevelopment schemes in Oldham’s history it is rewarding to see the pieces coming together – especially when other parties also take a lead. The new owners of the Spindles/Town Square shopping centre have just announced plans to redevelop it and link in better with our plans for a new cinema and restaurant complex in the Old Town Hall. The news means the new glazed extension on the Clegg Street side of that building is now set to be mirrored by a redeveloped Town Square shopping centre. That would see the huge former TJ Hughes unit remodelled to include more restaurants and attract more of the kind of stores into our town that people have been asking for. We haven’t gone public on everything just yet – and there’s a good reason for that. We made a pledge not to make promises until we were sure we could deliver them and we’re sticking by that. We’ve done everything possible to ensure that what we have announced to date for the town centre has funding in place so it will actually happen. Although you can never account for a third party changing their mind it is ‘so far, so good’ on that front. Our vision for Oldham town centre is clear. We believe we can be the strongest in North Manchester and are determined to lay the foundation stones that will make that happen. Accessibility and transport is vital. 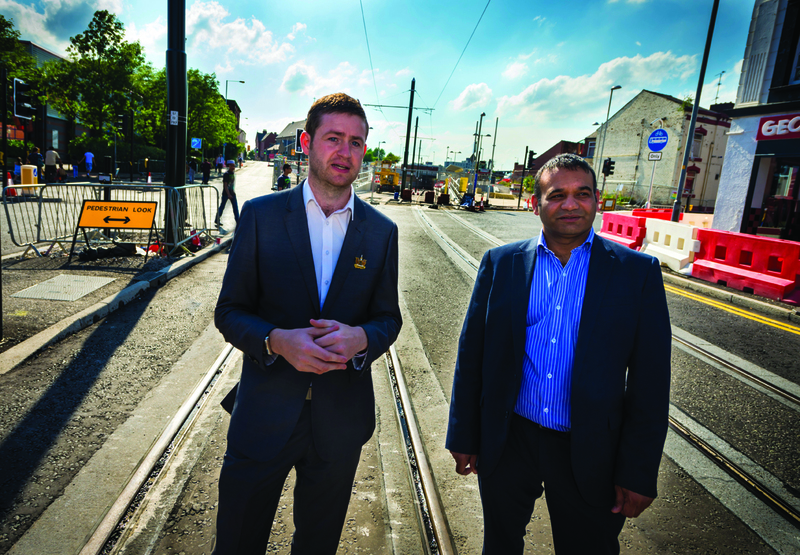 Although the Metrolink tram works have taken their toll on businesses the long term prize is one which will connect us with more than a million people who will have easy access into the heart of Oldham. “They’ll just go to Manchester”, I hear you say. Well, true – some will and that’s fine. But our compact size gives us a real advance over Manchester in my view. Yes, Manchester is accessible but it’s also a large city centre which can take time to navigate and, depending on which stores you want to visit, they can be some distance apart. We aren’t trying to be Manchester either: we simply want to be the best Oldham we can be. Free parking is a major boost to our plans. It does cost us money in terms of lost income, but it also brings more people in. If we are going to compete with out-of-town retailers we need to fight them on the same ground by offering this. Equally when I visit the Cheshire Oaks outlet I don’t just go for the shops (not least of all because shopping isn’t one of my favourite pasttimes!) but I do like the overall experience. Aside from it taking too long to find a parking space, once you are walking around there are little touches that make all the difference. As a parent, for example, the free outdoor playground for children to burn up all their energy while you drink coffee is great – and there’s no reason we couldn’t have the same in Oldham. Our market could also be thriving again. The Council’s Market Team has done wonders in attracting new traders into the indoor market, but it can be a real struggle for small businesses to make ends meet. We now need to look at how we can support businesses to be more viable in the longer term, not simply put pressure on to generate income for income’s sake. Clearly our outdoor market does struggle at times. If I’m honest I don’t think it is as a bad as some people might say, but I do think we can do better. I’m just not sure it is in the right place – at the back of town where people have to go out of their way to get to it. We are also blessed with some really fantastic buildings in our town centre. Some hark back to our days as a productive town generating wealth and building structures which made a statement. There are some really interesting buildings which tell their own stories too. But to be honest my patience is now at an end for seeing old buildings being bought cheaply and then totally abused by developers who clearly have no idea about design, heritage or how they impact on the feel of a place. I will be consulting all political groups in Oldham and businesses to seek support to remove permitted development rights in the town centre. Effectively that would mean ANY alternation would require planning permission – or if they fail to apply, we would have powers to take action. This isn’t itself the full answer though. We need to improve our guidance and support for developers and businesses who do want to play their part in this too. We also need to bring about real change to the Mumps area. As a gateway it is embarrassing and not good enough for the town centre that we aspire to be. We’re currently developing proposals for a new development there which, if approved in the future, will create a real gateway from east Oldham and Saddleworth. I also believe Yorkshire Street could be very special. That’s why we’re developing plans to invest in independent businesses there and breathe new life back into empty units. On top of this activity the overall scale of our town’s physical regeneration programme is huge and it will set us apart. T here’s the new college to come, new HQ offices on Union Street for FCHO, the new hotel and conference centre at Hotel Future, a new leisure centre, new shops, bars and restaurants with a cinema, plus a new Heritage Centre and Coliseum Theatre and much more. On my desk at the moment there’s an old dusty document dating back to 1946-7. 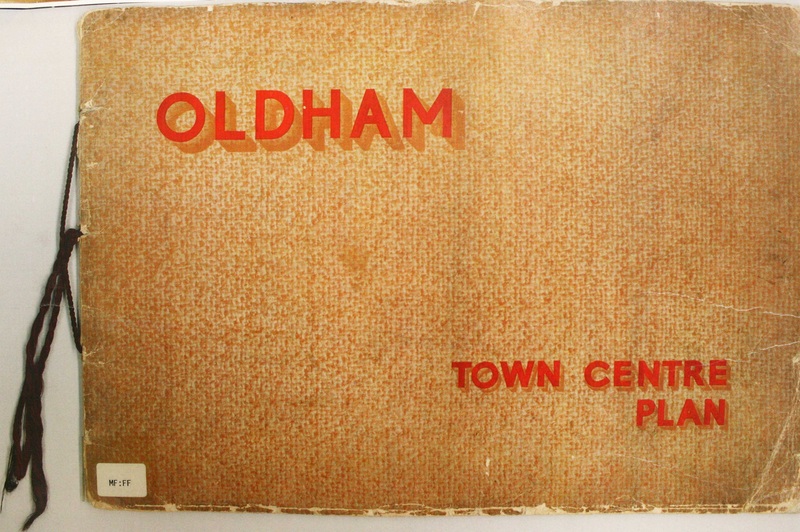 It is called the ‘Oldham Town Centre Plan’ and sets out ambitious plans to create a new Oldham. Guess what? It didn’t happen. I also know that countless other grand visions and schemes since then haven’t happened either – so I fully accept the right of people to say: “I’ll believe it when I see it”. But I do like a challenge. OLDHAM: We are rated as ‘Good with many outstanding features’ for its Child Protection – but we cannot be complacent. A SERIOUS case review this week has found that opportunities were missed to help four-year-old Daniel Pelka, who was murdered by his mother and her partner in Coventry. The anger and frustration from those interviewed about the case, from reporters – and even including my own friends and family – was powerful and emotional. While many are left thinking how unforgiveable it was that Daniel Pelka was so badly let down, I wanted to give an insight in to how I felt as another Council Leader, the Safeguarding Board Chair, Council Chief Executive and school head teacher all came under the media spotlight. As a council leader, cabinet member, or a professional involved in safeguarding children at risk the buck stops with you. So, even if personally you feel you’ve done all you can when it comes to being called to account, you cannot escape the understandable need for those let down to have someone to answer for those failings. Here in Oldham I chair the Corporate Safeguarding Accountability meetings. Put simply it enables me to understand what is happening on the front line and within our communities. I also give challenge and scrutiny to Oldham’s approach to children and adults at risk and ensure that Safeguarding arrangements are in place to address the key issues. That all sounds very technical and slightly boring, but it isn’t. The question we always ask is: “What is in the best interests of the child?”. The answer, on the face of it, is straightforward: To be safe, secure and well cared for and to ensure that young people are helped to make the right choices. But the world isn’t black and white and we’re not dealing with people or situations that can be mechanistically controlled. We are trying to work with very limited resources to meet the needs of hundreds of families and ensure that children are safeguarded. There is an overriding conflict which that very straightforward question poses. You always have to weigh up the life changing decision to remove a child from their family to prevent harm or neglect with the realisation that this act alone can be traumatic and devastating to all parties – and may not always lead to a better outcome for the child. In Oldham that decision was made for around 350 children who are currently in care. In addition about 290 young people are subject to a child protection plan living either at home or with families and friends. I have spent time with frontline social workers through formal ‘meet and greet’ sessions to visiting staff in their offices. The job of a social worker can be a thankless task, but I pay tribute to the dedicated team we have in Oldham. They are real people trying hard to make a difference on the ground. What stood out in the Daniel Pelka case for me were three key things. The first is that even with the best systems and processes in place you will never have a system where no-one falls through the net. The scale of abuse and human judgement means that, however unsettling that truth is, unfortunately that’s the reality. That doesn’t mean you are being passive or making allowances. You don’t – you do everything you can to prevent serious harm to children. The second was that in this case, as with others, professionals failed to see what was staring them in the face. School teachers failed to report, for example, and social workers didn’t speak to Daniel. Even without hindsight there have been enough serious case reviews where ‘lessons have been learnt’ to ensure this should not happen. We all have a duty to get this right. Daniel was let down by the system and, ultimately, those closest to him. As a councillor I attended safeguarding training just a few months ago where we talked though case studies and were trained on how to spot harm and when to report it. The third key factor here is the human truth: Evil is calculated. This wasn’t a case of neglect where simply a lack of skills or an ability to parent let a child down. This was about deliberate and targeted abuse of the most evil kind. It is human to be angry. Daniel Pelka was let down and it should not have happened. I also know how this will be affecting those people involved in keeping children safe in Coventry. You have to be professional and make firm judgements based on facts, but it doesn’t mean that when something like this happens that you are not torn apart. Those involved will be affected by this for years to come, if not for the rest of their lives. That isn’t to take away any failings, but it is a reality. I will admit that the thought of this happening in Oldham does keep me awake at nights. At times I’ve been left harrowed after learning the detail and scale of abuse in my own town. I can admit to being left emotional after learning about a very young child abused by his parents. It is odd that when you get home and see your own children healthy and enjoying life you then feel a strange sense of guilt, such is the weight of personal responsibility you feel for your town and its people. Oldham is rated as ‘Good with many outstanding features’ for its Child Protection but we are not complacent – nor can we ever afford to be. We invest a great deal in partnership working and sharing information but we always seek ways to improve and challenge. If it were not for those people working to protect children at risk we would hear of many, many more cases like this. This is not a battle against a broken system; it is a battle of good people trying to protect children from evil. More often than not the ‘good guys’ win, but now and again we are all left feeling devastated. 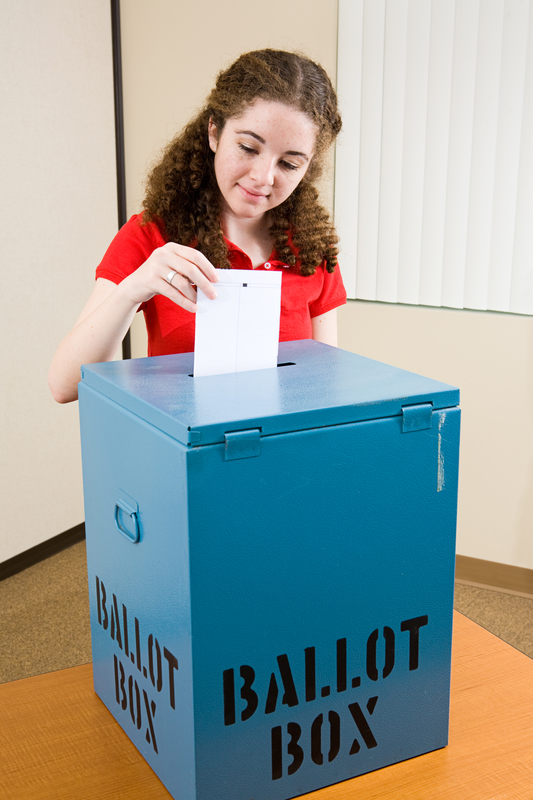 Should 16-year-olds be given the right to vote? Oldham Youth Council has set the ‘cat among the pigeons’, or at the very least focused minds with their latest motion to be heard at council this week. I must admit to being split on the issue. The motion has forced me to research and think through the arguments for and against, ahead of the meeting. That said I could do what many in politics do, which is to either vote ‘yes’ because the campaign ‘for’ is far more advanced than any ‘no’ campaign on the subject – and as such its more popular among those who are vocal on the subject – or I could just vote ‘yes’ because it’s a fashionable thing to support. The matter should be taken seriously because in many ways it poses a wider question about inclusion and how we get more people to see the importance of voting – and to understand the consequences and benefits. With turn out at the last local elections at 33 per cent the majority were at home in a sit down protest, or more likely indifferent. The national parliamentary elections faired far better at 61 per cent. For most people who are not interested in politics the day can pass by unnoticed. Even those who have put their cross in their chosen box in the past feel their individual vote wouldn’t make a difference. In Parliament, and even in local councils, it is far too easy to be sucked into a very narrow way of thinking and making sure you continue to see the bigger picture is a skill in itself. We are surrounded by either professionals paid to ‘manage’ the decision making process or ‘people like us’, you know political geeks, who love the intrigue and debate on any given subject. I expect most ‘normal’ people are somewhere in between. Thankfully, the residents of Oldham aren’t shy in coming forward with ideas, suggestions and when needed a harsh reminder now and again that any democratic chamber should be a representation of the people it serves. We just need to make sure we sit up and take note and not simply dismiss out of hand the real concerns and issues people raise – or try to explain them away. There is a real case for a more fundamental redesign of our democratic structure, which will meet with cheerleaders and objectors. Should we have term limits? To stop being a politician becoming a lifestyle or career choice should we be restricted to serving a maximum of say two or three four years terms? Should we have all out local elections every four years? People could affect real change very swiftly, and four years should be enough for any administration to prove its worth – it could save money too. Should Parliament be modernised to become more representative of society as a whole? I’m pretty sure most of the UK doesn’t look like Parliament – unless of course we are a secret nation of Oxford and Cambridge political animals, or those who through wealth and opportunity have been positioned in life, almost ‘born to rule’. It appears the system certainly encourages that. And how should votes be counted? First past the post is clean and easy to understand, but you clearly don’t get a Parliament which reflects ‘voter intention’ or the share of the vote each party gets. Should there be a financial limit on donations? The Tories claim the trade unions buy Labour votes – I should say most trade unions members would say they don’t get listened to at all. The large donations to the Tories have led to questions about whether big business is getting tax and policy advantages from the current government. In my opinion you couldn’t do that without seriously looking at the cost of elections. Making contact with every voter isn’t easy or cheap. Should we introduce compulsory voting? That’s easy for me – YES – allow people more ways to vote such as online voting and give the ‘none of the above option’. There are then few excuses not to take part. I’d like to think turnout would rocket, but I’m not convinced it would if done in isolation. That isn’t to say all the arguments ‘for’ really hold water – you can’t, for instance, buy alcohol or gamble at 16 so pointing to things you ‘can’ do at 16 isn’t a balanced argument. I am though of the opinion that if schools and colleges do enough to educate young people, and continue to support the work of youth councils and the youth parliament, then changing the system so there isn’t a 2 year gap before people are given the opportunity to vote in other elections makes sense. It also makes sense that if people are affected by decisions being taken on their behalf then they should have a say over who makes those decisions. I might just make one plea to the voters of tomorrow – if you do go and vote tell your parents why you voted. It may even inspire the 39 to 77 per cent of over 18s who don’t vote in elections in Oldham to go out and exercise their democratic right. 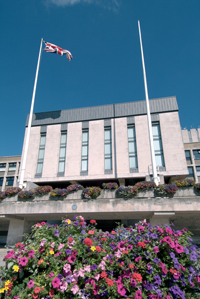 We are modernising the council and democracy in Oldham – 400 plus viewers watching our council meetings is more than I ever thought was possible. Our Youth Council is one of the best – if not the best in the UK – and the very fact that they have raised this issue and have the power to raise the debate and mandate a vote is testament to how far we’ve come in Oldham. Eric Pickles – this is democracy in action. Feel free to tune in! COUNCIL RETURN: Recess is over and it’s back to serious business – including job creation. THE SUMMER recess is over and it’s back to serious business at Oldham Council. I’ve been fortunate enough to enjoy a family break – just before my eldest son begins secondary school, and my youngest starts primary school(!) – which was a real tonic and gave me a much-needed change of scenery. I kept in touch with things in Oldham during my absence, of course, including the news of our youngsters getting their latest GCSE results. Overall the headlines were positive with most schools retaining or increasing their performance results despite national concern about grading and what is now seen as a tougher test. I would like to congratulate all those students and wish them the very best of luck as they embark on the next chapter of their lives. Congratulations must also go to those supportive parents and teaching staff who have helped our young people to be the best they can be. I’m also conscious though that what we need to make sure of is that we are properly investing in opportunities that lie beyond school. The global economy is changing at such a rapid rate that we cannot afford to be narrow in our thinking. Nor can we think or believe that we know it all. What we can do is give young people growing up in our Borough real life skills – basic things like being confident, being able to hold a conversation, present themselves and to have a good work ethic. 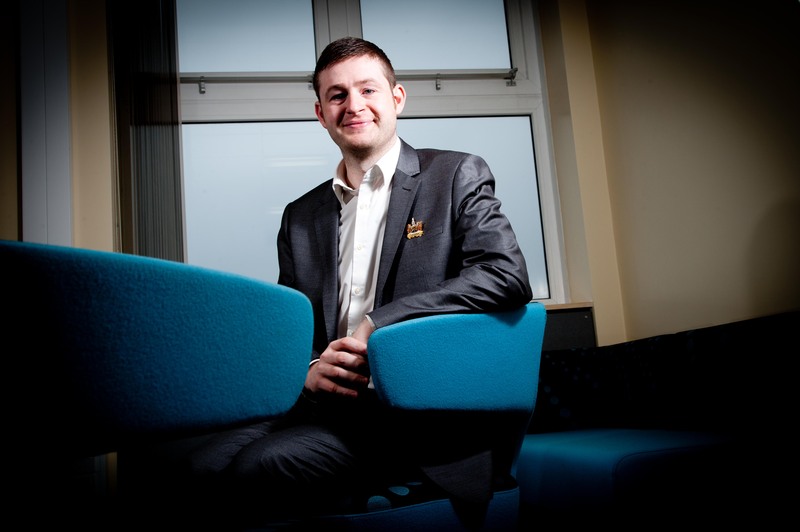 In such a highly competitive post-school environment – be that work or further and higher education – we also need to develop opportunities that help our young people stand out. Volunteering and additional activities and experience are all part of that – it adds to the CV when you’re applying for the next move in life. But our work isn’t also just about young people. With unemployment here still at an unacceptably high rate there are many adults with good experience and much to offer who are left searching for work. The frustration felt by many who apply for job after job and often don’t even hear back is hard to take: especially when the system often doesn’t treat people like individuals. Our local jobs clubs, often run by volunteers, are a real lifeline for many people. These volunteers don’t get paid and certainly don’t get the bonus payments those in the private sector do, but they do see that their friends and neighbours are struggling and step in to help. That doesn’t take away the problem of a system which isn’t fit for purpose (if that purpose is getting people into quality and sustained employment) but it is a good example of a cooperative community in action. As part of my responsibilities with the Greater Manchester Combined Authority I lead on Employment and Skills and this means I face the challenge of trying to make sense out of some very disjointed elements that are in place to help people into work. Having said that I’ve now visited a number of colleges and skills providers across the City Region and am impressed at how those professionals who must work within the system are finding genuinely innovative ways to get people back into employment. The current ‘work programme’ simply has not worked for Oldham – with only 12 per cent of those going through the system having got sustained employment. My strong belief is that we need a more local solution to getting people into work. We need to tailor our approach better to give meaningful one-on-one support. We need a system which gives credit to those who need a hand up – and also helps to promote self-employment opportunities and new businesses. This isn’t just a plea to give local councils more money: although we could definitely do with it. It’s about us all being smarter about how we bring competing and complex interests together and look beyond our own organisations and budgets at the bigger picture. This is, after all, public money.